It is amazing what a difference our real estate market has experienced this year versus the last few years. Previously we were inundated with short sales, foreclosures, dropping prices and very little confidence in the market. Today, we are at a low point in the number of short sales and foreclosures on the market since I started keeping track of them over two and a half years ago. 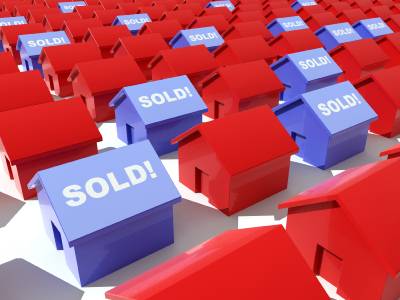 In October of 2010, we had 1,460 short sales on the market, today we have only 386. Additionally, foreclosures are at a low point as well. In November of 2010, we had 516 foreclosures on the market and today we only have 178. Additionally, prices were falling in the Northern Virginia area. According to RBIntel.com our market prices bottomed out in February of 2009 with an average sales price of $307,225. Today our average sales price is $469,800. We are still off our highs of 2006-2007, but we are headed in the right direction. All of this information coupled with low interest rates has restored confidence in our market. Rates? Did I just mention rates? Yes I did and they are ridiculous! Yesterday I heard one of our clients locked in a rate of 3.25% with a lender credit of 2%. We continue to see rates decline which leads to the question of how low can they go before more people act on refinancing or purchasing? Only time will tell. The last area I would like to touch on is our rental market. The inventory of active rentals remains low and interest in these properties remains high. At this time, many people prefer to rent over buying as they remain skittish about buying or are in a situation such as a recent short sale which prohibits them from being able to purchase. This situation has resulted in rental rates rising making investing a viable option for many people – maybe even you! If you would like more information on how these numbers affect you whether buying or selling a house, or if you would like to discuss becoming an investor, pick up the phone and give me a call. I would love to speak with you about your situation in more detail.